COMPLETE BED WITH HEADBOARD WITH OPTIONNAL LENGTH FROM 250 UP TO 350 CM WIDE x 24 DEEP x 150 HIGH CM. FOR 180x200 CM MATTRESS WITH BED FRAME: 193 wide x 205 length + 8 cm more with bed storage x 35 h. cm. FOR 135x200 CM MATTRESS WITH BED FRAME: 148 wide x 205 length + 8 cm more with bed storage x 35 h. cm. FOR 150x200 CM MATTRESS WITH BED FRAME: 163 wide x 205 length + 8 cm more with bed storage x 35 h. cm. FOR 160x200 CM MATTRESS WITH BED FRAME: 173 wide x 205 length + 8 cm more with bed storage x 35 h. cm. 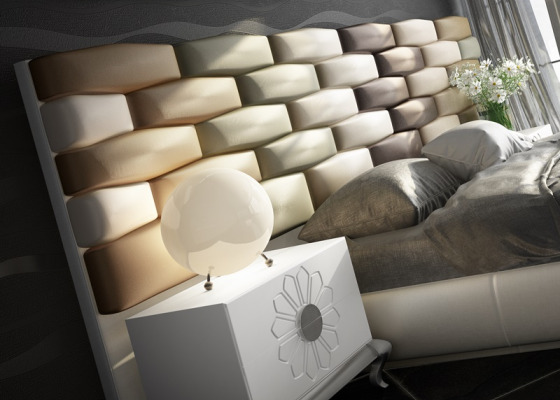 Elegant large headboard upholstered in synthetic leather with an original design. It can be manufactured with width between 250 and 350 cm. The price does not change. 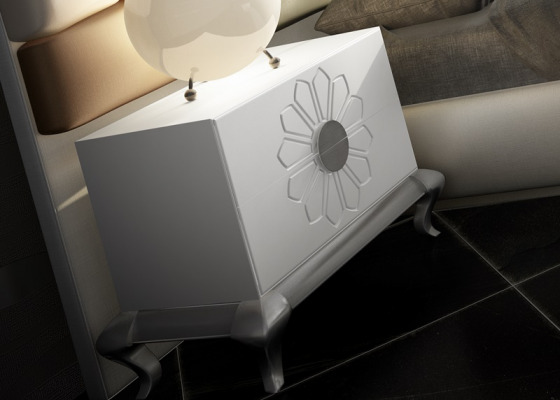 Picture finishes: REAR PART IN SYNTHETIC LEATHER STAR CREMA. 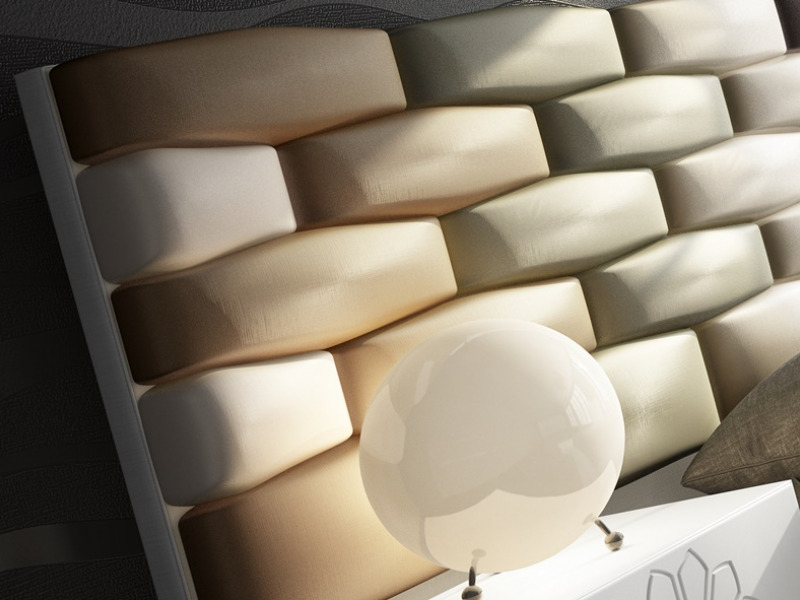 MODULES IN SYNTHETIC LEATHER STAR VISON , ANTRACITE, CREMA AND BROWN. 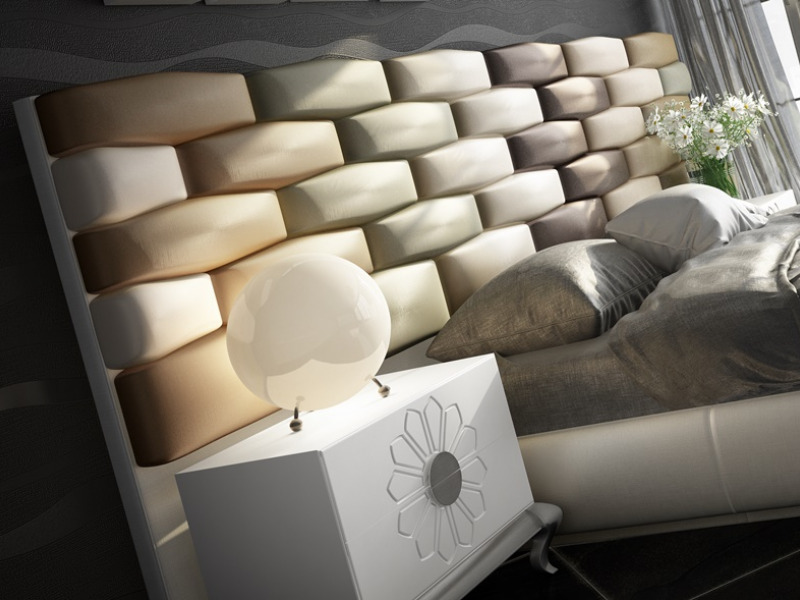 Bed frame upholstered in synthetic leather STAR CREMA with a baseboard upholstered with the same fabric.